This is a new learning concept, which enables a combination between the internet and classical study methods. Our participants have the opportunity to learn, communicate, get information and acquire more about knowledge management – no matter where and when. It is a classical training in combination with role play, exchange of experience and personal encounters. 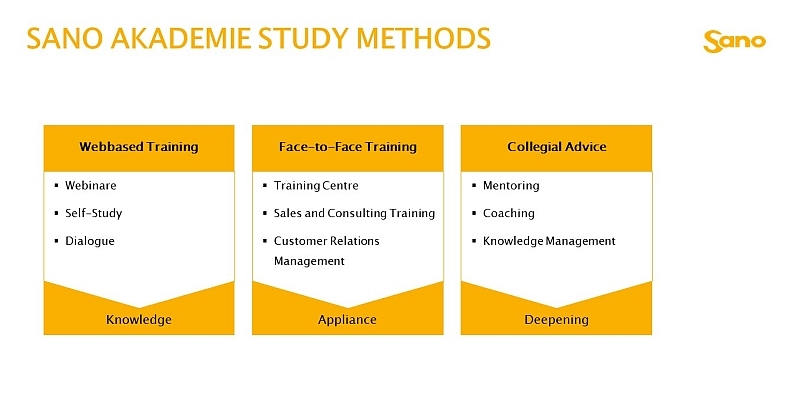 Our training combines an independent learning style with trainings, seminars, individual mentoring and coaching.